Рбята, заходите на Ласт ФМ и голосуйте за фотографии этой группы. Неужели, я зря их по всему интернету искал? Did someone have the 'Scopophobia' Live CD? подскажите с каких альбомов начать знакомство с группой?какие по сильнее будут..
а откуда эта запись? в смысле когда и где была сделана? Could someone upload the 'Scopophobia' Live CD? I have the first release (DVD only), and rip a Live CD from the DVD. I think this is not on the CD. 'The Head That Tried To Strangle Itself' can be heard at www.myspace.com . "We’re really excited about getting these tracks heard and can't wait to play them live. We’ve spent enough time away now - it’s time to get involved. 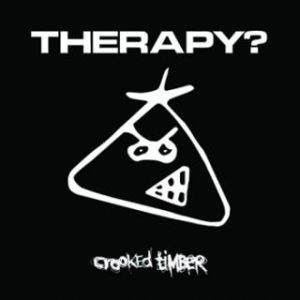 There’s always the risk of getting lazy and simply churning out what’s 'expected' or a 'safe bet' but that was never an option for ‘Crooked Timber’. Making the album was a great experience and now it's time to get back in peoples faces." Folks, in August of 2006 Therapy? invited their fans to vote for the 3 songs they would most like to see recorded live during a private performance in a small studio. No audience, just the band doing what they do best. The 12 songs which received the most votes were recorded on September 19th, 2006 and were available as a paid download, both as audio and video. It was released on January 15th, 2007 and we stopped selling it on August 17th, 2007. Searching for this webgig, anyone please ? может кто выложить Meat Abstract 1990 7"?